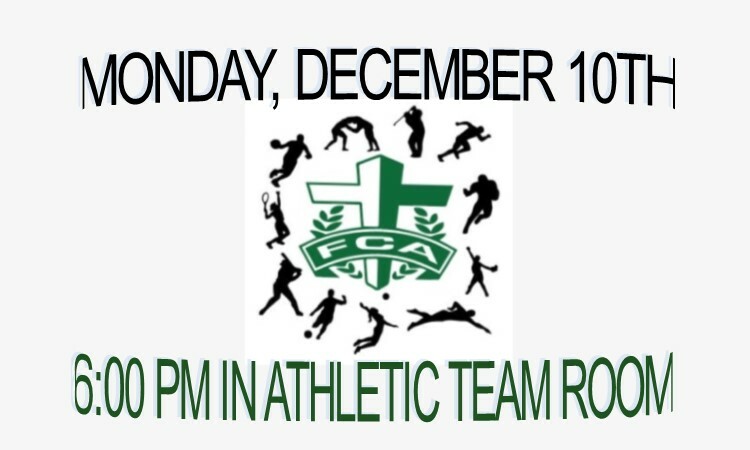 December 4, 2018 – All are welcome to Reagan’s Fellowship of Christian Athletes (FCA) gathering Monday night 12/1018 @ 6:00 pm in the Athletic Team Room. We’ve got food, fellowship, tunes by Coach Jamey Howard, and Pasor Ben from Concordia! This is the last meeting for this year. Spring dates coming soon! CLICK HERE to donate food or beverages for this meeting.